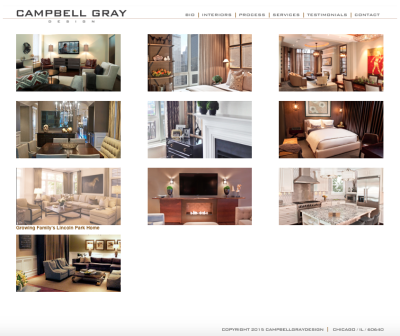 Design Burd Inc.Campbell Gray Design | Design Burd Inc.
Campbell Gray Design was founded by John Gray, is a residential and commercial design firm in Chicago. Interior design describes a group of various yet related projects that involve turning an interior space into an effective setting for the range of the activities that are to take place there. An interior designer is someone who mayconducts such projects. Interior design is a multifaceted profession that includes conceptual development, liaising with the stakeholders of a project and the management and execution of the design.